"Technorati a search engine that on real time basis focuses on blogosphere. 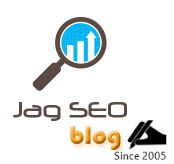 This search engine does its searches only through the blogs to give its search results." Searching for blogs becomes very easy in Technorati. Just type in your query in the search bar of the Technorati home page and you hit upon the blog results. For advanced searches click on the advanced search option that helps you to search for blogs with more parameters. Technorati Blog Finder – a directory of blogs in Technorati, all organized by subject/topic. Browsing can be done category wise. We can even scroll down further the page to see recently added blogs. Technorati tag feature helps you to get blog results using the topics or topics that bloggers used to describe what they had written. Technorati tracks over 4million tags and top 250 tags are shown in the Technorati tag page, all arranged in the alphabetical order. Bigger the tag text, more popular/active the tag. Popular – another feature in Technorati that tracks the list of which gets the most buzz in the web. It helps you to see what most of the people are searching for. In addition the top 100 blogs can be viewed using the Top 100 Popular Blogs (– measured by the unique links over a period of last 6months) feature in Technorati. Want to add your blog to Technorati? With the help of Claim your blog feature, you can add your blog to the list of blogs in Technorati. By providing some basic information to Technorati you are guided by different options by which you can claim your blog into Technorati. With your blog in Technorati you are at an advantage that millions of people are having a look at your blog. You can make your Technorati experience more special by personalizing it with Watchlist – keyword / phrase / URL that you want the Technorati to keep track for you. You can search results within this watchlist. You also have a pop-up window option that helps you to view your watchlist while surfing the net. An easy and helpful service that produces comparatively better results and gives us a better insight into things in Web. The only worry in Technorati is that the results can get into being spammy at times, and hence they need to focus on this still better for quality search results. Whatever be the issue, Tehcnorati does prove to be the most recommended blog search engine tool especially for blogosphere. Do you know why your competitor always stands TOP and some goes DOWN to END? Competitor who stands top all-time understands keyword density, high competitive keyword position can be attained only through proper keyword density and it can be approximately 2 - 8%. Some list fast and we think how they do, they stuff keywords and dont meet keyword density rule, don’t mind them as a long term competitor, they can be dropped anytime, i have noticed many. How keyword density been calculated? So your page has a keyword density of 5%. By this you can optimize your web page effectively "matching keyword density, meeting SE algorithm rule" which brings top results on the search engines. Today, Mobile social networking has become hot, and becoming hotter day by day :), as we know mobile Internet usage is being rapidly increasing. On the same mobile content providers should also grow parallel to bring mobile social networking a big success. 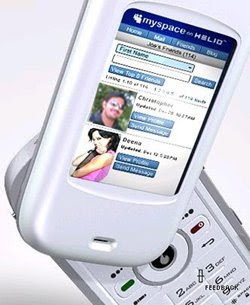 In Mobile social networking one and more people with same interest connects to one another using the mobile phones, we have some web-based social networking websites into mobile such as Myspace and Facebook. Ipling - Find and be found now! In this post, we will see how to use .htaccess to create search engine friendly URLs. Using .htaccess, mapping dynamic pages to static address is easy and this helps search engines to index the pages fast, effective and strong.